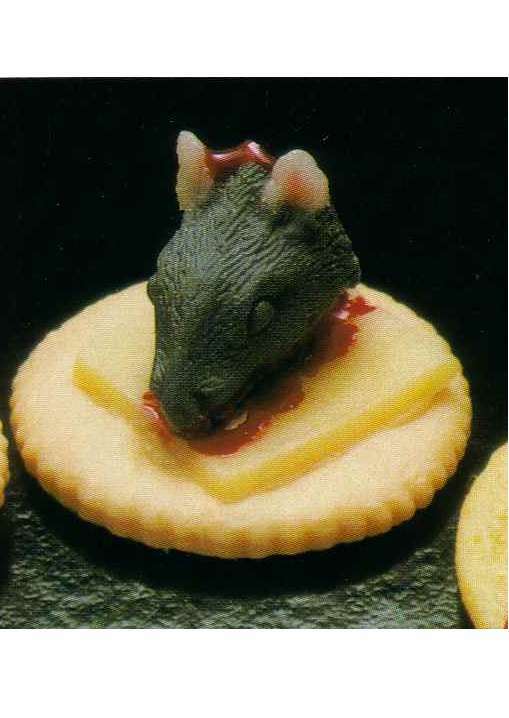 Horrify your guest with realistic looking Gore May Crackers. Makes for a morbid display in your haunted kitchen scene. This will be placed on a tray held by the Butler in my haunted house. These are cute with great detail, but really small. Plan to buy more for a serving platter.